Many car companies are working toward sustainability and Ford Motors is no different. What does make their efforts distinctly different is that their drive toward sustainability comes from a love of the environment directly from the top - from Bill Ford. In fact, decades ago when it was time for Bill Ford to take over the helm of the company, he made a conscious decision to stick with Ford instead of move into work in the environmental field. The green runs deep and wide at Ford and consumers benefit. I recently had the opportunity to interview Jeff White, Energy efficiency Manager at Ford Motor Company, about their newest energy reduction numbers. EB - Why did Ford feel it necessary to make these energy reductions? 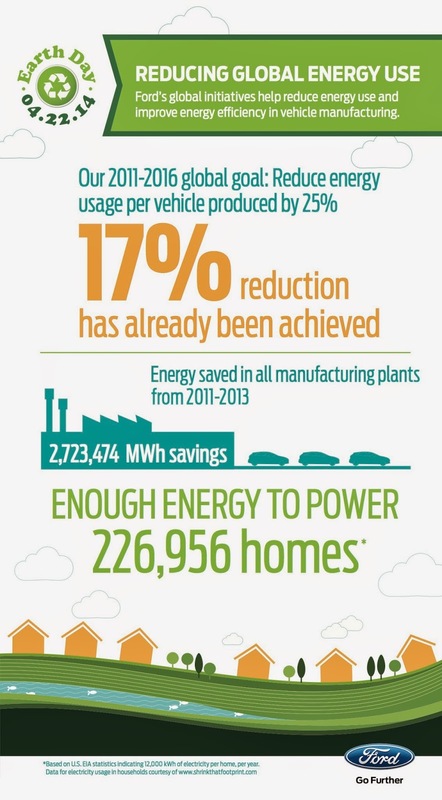 How does it fit into Ford's overall sustainability goals? JW - Ford structures its core business model around using resources responsibly to create long-term value as a corporate citizen and global competitor. Reduced energy consumption in vehicle manufacturing is just one result of Ford's focus on minimizing the environmental impact of the vehicles it produces and the facilities where they are made. Ford's Blueprint for Sustainability outlines future sustainability goals, which target issues from energy use to vehicle emissions. EB - Can you give me a couple of specific ways Ford has cut energy in manufacturing? JW - When it comes to energy reduction and operational efficiency, Ford takes a holistic approach to help our plants do the same for less. This is achieved through our Energy Management Operating System, which helps ensure we have the right processes and procedures in place to manage our energy use. Specific examples include a Shutdown & Start-up Process to minimize the energy consumption of our facilities during non-production hours, Energy Performance Benchmarking efforts to help us determine the ideal state of energy use, and an Energy Roadmap, which helps us reach our energy reduction goals through process and facility improvement and technology upgrades. EB - Will these cuts result in lower overall costs for consumers when they purchase a Ford vehicle? JW - While I can't discuss the cost breakdown, these energy reduction numbers support customers looking to make an environmentally-responsible choice when buying a new car.